Kevin Sweeney, Mt. 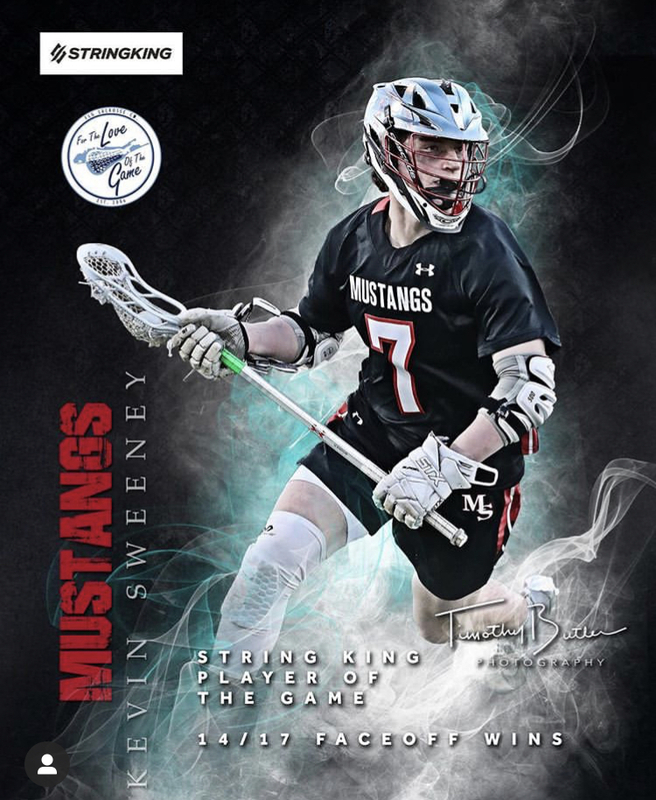 Sinai: Dominates at the face off X in a big win against cross town rival Comsewogue, earning himself String King Player of the Game. Liam Entenmann, Chaminade: Ignites the Flyers and secures 16 saves in a big win against Parochial foe St. Anthony’s. Luke Woodland, Farmingdale: Leads the way with 4 g’s for the Dale in a overwhelming victory against Port Washington. Kayla Downey, West Babylon: 43 points on the year, Downey had 6 points in her latest outing, securing the win for West Babylon against East Islip. Chris Harris, Hicksville: Scored the game winner in OT victory for the Comets against Plainview JFK by a score of 14 to 13. Vincent Leonardi, Hicksville: Found the back of the net to send the game into overtime against Plainview JFK, finsishing with 10 points in the victory. Mike Sabella, Mt. Sinai: Earns String King Defensive Player of the Game honors in big win against crosstown rival Comsewogue. Jack Hogan, Lindenhurst: Not only did he tie the game to send into overtime, but he also ended the game int he 6 to 5 victory over Commack. Russel Maher, Mt. Sinai: Drops 4 in big win against crosstown rival Comsewogue. Sophie Alois, Middle Country: Found the net 6 times in a big win against Smithtown West by a score of 14 to 12.